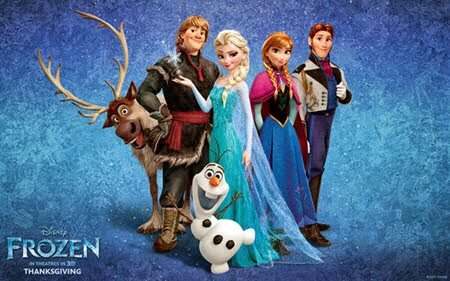 Movies Like Frozen: Great Animated Fantasies '+g+"
Like watching animated fantasy movies like Frozen (2013)? then check our list of recommendations for movies similar to Frozen. It is an 2013 3D animated musical comedy produced by Walt Disney Animation Studios. The story follows an epic journey of princess Anna along with Kristoff and a snowman named Olaf to find her sister Elsa and free their kingdom from eternal winter. Don't forget to mention if we miss any other movies similar to Frozen (2013) as we keep on updating this list. Tangled is an animated musical fantasy film based on the popular fairy tale "Rapunzel". It is produced by Walt Disney Animation Studios and released by Walt Disney Pictures.The story follows Rapunzel and Flynn Rider's fantastic journey filled with surprising heroes, laughter and suspense. Brave is a 2012 animated fantasy movie produced by Pixar and released by Walt Disney Pictures. The movie is set in the mystical Scottish Highlands. The story follows an young spunky tomboyish princess named Merida who confronts an age old tradition which creates a turmoil in the Kingdom. Now she has to show her true bravery fighting an huge demon bear and undoing a beastly curse. The Croods is a prehistoric 3d comedy adventure movie produced by DreamWorks Animation. The movies follows a cavemen family whose home is destroyed by an earthquake are set on a journey of a lifetime with the help of an inventive boy through dangerous but exotic land in search of a new home. Epic is a 2013 3D animated fantasy adventure movie produced by Blue Sky Studios. The story follows a magically transported teenager along with the “Leafmen” confronts with the evil warriors to save their forest and our world from them. The Pirate Fairy is a 3D animated fantasy movie from the Disney Fairies franchise. The story follows Zarina an ambitious dust-keeper fairy who goes rouge and steals all Blue Pixie Dust to joins with the pirates of Skull Rock. Now Tinker Bell and her fairy friends sets on a journey to return the Blue Pixie Dust to its rightful place. Secret of the Wings (2012),...if you can think of more, then don't forget to mention it in comments.